We at Leeward Funeral Home regularly receive requests for information about Sunset Memorial Park, the cemetery which is adjacent to our funeral home. We would like to clarify that Leeward Funeral Home handles funeral services. We are not affiliated in any way corporately or magisterially with Sunset Memorial Park Cemetery. Leeward Funeral Home does not have any maps, ownership records, deeds or any information or records pertaining to Sunset Memorial Park, nor are we responsible for the maintenance of the cemetery. There are certain cemetery merchandise (e.g. 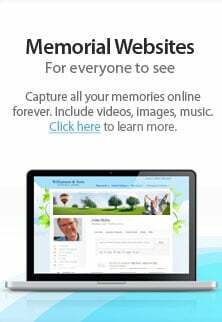 memorials, scrolls, flower vases, etc.) and services such as disinterments (exhuming and removing decedents from the cemetery grounds and mausoleum) that we can assist families with. Please contact us for additional information as to how we can help.